A well recognised name in the coffee machine market, it shouldn’t be surprising that Melitta Caffeo Bistro is a bean to cup machine that has consistently appeared at or around the top of the best buy and most recommended lists for a number of years. 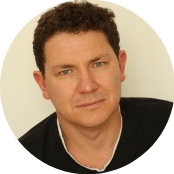 It’s a popular choice on Amazon and other retail sites too, with a rating of four stars. Making delicious coffee with freshly ground beans and no fuss is what a bean to cup machine is all about. And the Melitta Caffeo Bistro certainly meets that brief. Marketed as an espresso and cappuccino machine, the Bistro produces single or double espressos with the touch of a button. In addition, the manual steam wand on the side of the machine features an integrated whisk that ensures this machine’s ‘Perfect Cappuccino’ status. This machine has a simple and intuitive display. Aside from the power button, there are just four other buttons, which control the strength, turn on the steam wand, and let you choose whether you want a single or double espresso. The dial to the left controls the steam wand, while the one on the right lets you set the length of your coffee. The bean hopper is chosen using a switch on top of the machine, that flips from one side to the other. The four light up beans on the small display screen show the strength of coffee that you’ve selected. There is an adjustable height dispenser unit, which slides easily up and down which allows you to set the height for everything from espresso cups to latte glasses. As with many Melitta bean to cup coffee machines, the Bistro has a generously sized airtight, double chambered coffee bean hopper. This allows you to use two separate types of beans, and simply select which one you want to use for each cup. This Melitta Caffeo Bistro holds a more than adequate 1.8 litres of water. That’s plenty of cups of coffee before it needs refilling again. There are very few criticisms made of the Bistro. The steam wand is slow to heat milk, and some users report that they find the whisk on it unnecessary and would prefer to be able to use the frother without it. The other criticism is that it’s rather noisy when grinding the beans. But, as grinding the beans takes moments, it’s an inconvenience that most people are willing to overlook. Cleaning the Melitta Bistro is simple thanks to the automated descaling, rinsing and cleaning programmes. Occasionally it requires some manual intervention, but it does much of the day-to-day cleaning unaided. This bean to cup coffee machine allows you to control the length and strength of your coffee simply and easily. There are four strength settings and the water volume can be set on a sliding scale from from 30ml to 220ml. The steam wand allows you to create milky coffees of all types, from cappuccinos to caffe creme to lattes. This Melitta machine is primarily an espresso and cappuccino machine. While it can produce a good range of other coffees through adding water and using the steam wand, the wand is designed specifically for milk that’s ideal for cappuccinos. One unusual feature of the Caffeo Bistro is that it’s integrated manual steam wand includes a whisk, for creating delightfully frothed hot milk ready for your cappuccinos, lattes and macchiatos. The wand is also height adjustable, making it easy to use whatever size milk container you’re using. 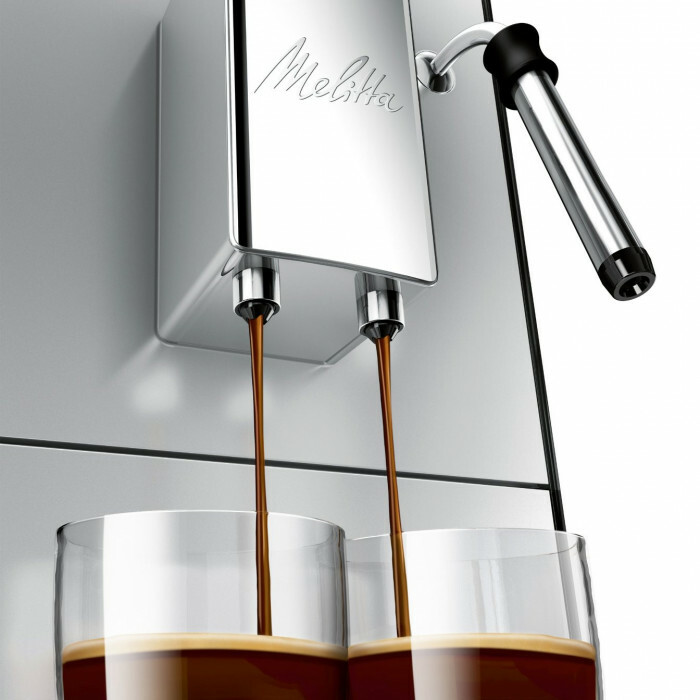 As is standard with Melittas, it has dual dispensers for dispensing two cups of coffee at once, or making one large cup. This bean to cup coffee machine has a professional level 15 bar water pressure that ensures that you’ll be enjoying a rich, luxurious crema on every cup it produces. Although a little ‘boxy’ in shape, the Bistro is a solid but stylish looking coffee machine. The design is elegant and minimalist and, available in both black and silver, it slots neatly into any kitchen. 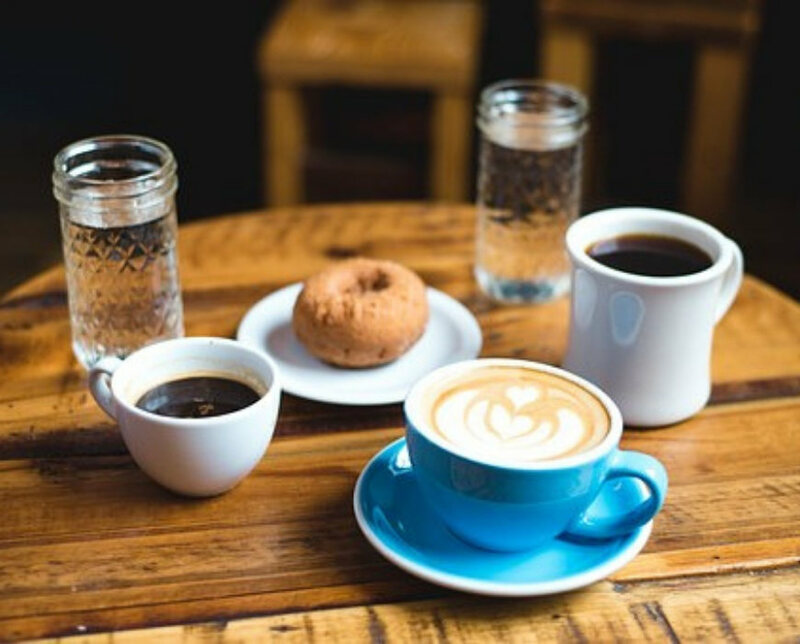 If you’re an espresso or cappuccino fan then the Melitta Caffeo Bistro should definitely be on your shortlist. 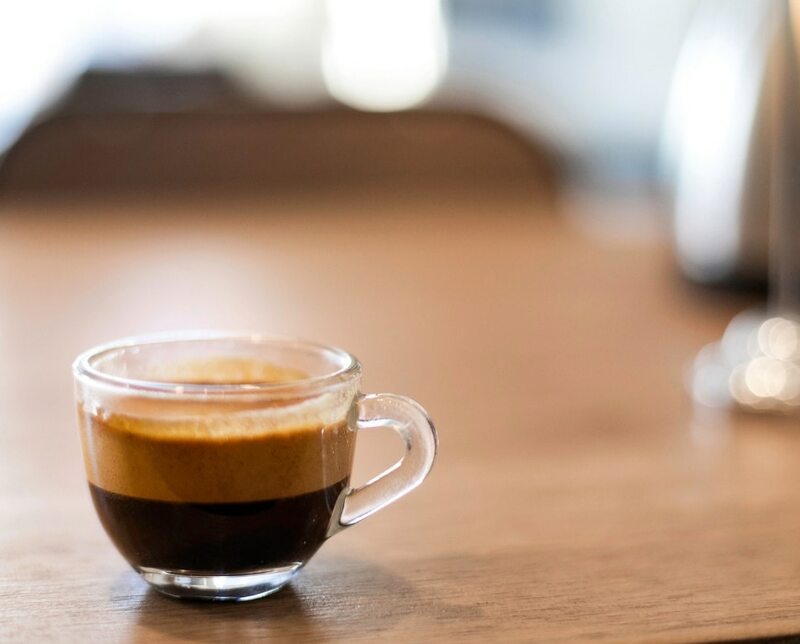 It produces high-quality espresso with no fuss, plus the steam wand is designed specifically for the rich frothed milk necessary for cappuccinos. But for those looking for a wider range of automated coffee types, this isn’t the machine for you.